Established in 2009, the company, Aarna Systems are the Manufacturer, Exporter, Trader and Distributor of Medical Equipment. 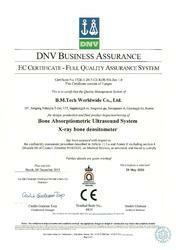 The product range offered by us consists of Ultrasound Bone Densitometers, Bone Densitometry and Bone Density Scan. These medical equipment and accessories are sourced from trusted vendors, to ensure high standards of quality. Owing to their optimum functionality, low maintenance, high performance and longer serving life, this medical equipment and accessories are highly demanded. The offered range of medical equipment and allied products are highly appreciated in various research laboratories, health centers and hospitals. Our clients can avail the offered medical equipment in various designs and specifications, which suit the requirements of our clients. 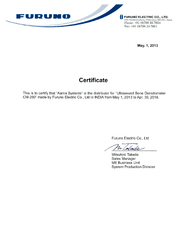 We are the authorized distributor of Furuno. Backed and supported by a rich vendor's base, we have been able to meet the bulk demands of the offered medical equipment and accessories. Our vendors are appointed by our procurement agents after carefully assessing their financial stability, reputation and market credibility. Due to their experience in this domain, our vendors hold expertise in their area of works. We export our products to Dubai and Saudi Arabia. Mr. Deepak Kanthaliya is director of our company and he has helped us in meeting the requirements of our clients apart from attaining a huge clientele across the nation. RKG Associates, Astra Brisannar Pharmaceuticals, Aareen Healthcare and BR Biomedical Pvt. 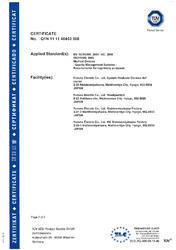 Ltd., are some of our esteemed clients associated with us. 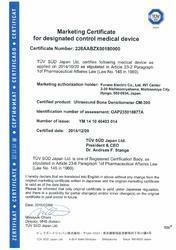 The Company is certified with Previous TUV Certificate. Our vendors have helped us in meeting the bulk assignments of the offered medical equipment, due to our large production capacity. They hold expertise in their area of work and are known for using the superior grade materials and state-of-the-art infrastructural facility, while manufacturing the offered range. 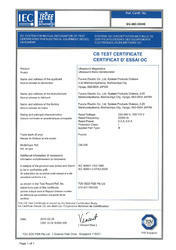 This CB Test Certificate is issued by the National Certification Body. 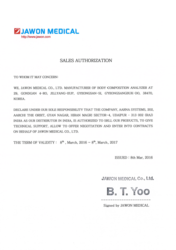 We Jawon Medical Co. Ltd. manufacturer of body composition analyzer decalare under sole responsibilty that the company Aarna System as our distributor in India is authorised to sell our products . "To anticipate needs within the widest array of applications in Women’s Health Segment and corporate health, especially Bone Densitometry Systems, Body Composition Analyzer and incorporate them into our product range." As we know that India being the world capital for diabetes, obesity, osteoporosis and cardiovascular diseases, there is an immediate need to change the health scape. With longer working hours, weak support systems, sedentary lifestyle and poor food intake, there is enough proof of a direct linkage between lifestyle and disease. We believe that good health is an investment like many other prized possessions that we have, and it’s possible to retain the gift of good health and prevent lifestyle diseases. This we believe will happen when we've touched children, youngsters, adults and old people like to be aware of health and to prevent diseases. 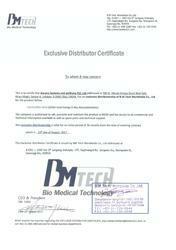 We started as a healthcare company in 2009, specializing in the field of ultrasound. Over a period of time, We people realize the need for preventive health and diagnostics and have powered what is today, India's top 3 corporate wellness service provider organizations. • Overseas Healthcare Pvt. Ltd.
Our team, which holds expertise in their area of work, has helped us in meeting the diverse requirements of our clients by working in close coordination with each others. Based on their skills, knowledge and experience, our professionals are appointed by our human resource professionals. Since the beginning of our company, we have been known for meeting the expectation and desires of our clients. Large production capacity, wide distribution network, well-designed warehousing unit and different modes of payment, has helped us to win the trust and confidence of our clients.